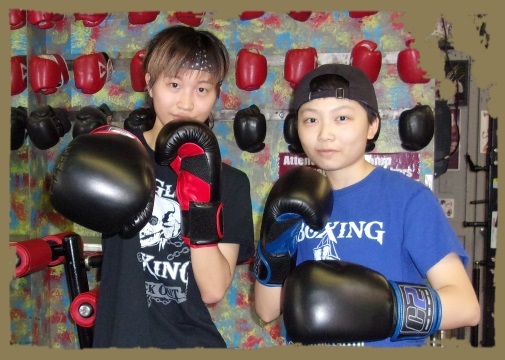 The same one-on-one specialized boxing training, just moving along at much faster, aggressive pace. Training together advantages… most likely you will not to miss your workouts, the competition will make you perform better, it will give you confidence, you will have fun together, and share in your accomplishments. The tryout lesson will give you answers on how our training is structured. If you find the lesson physically difficult don’t go away thinking you have to get in shape to come back. Silly as it sounds, even if you began a swimming program, you would have to acclimate to that sport as well. FYI – upon joining we will wrap your hands for the 1st week, then please watch our video to learn for yourself. AND TO BEGIN YOU MUST HAVE YOUR OWN GEAR. STOP BY ANY TIME TO VISIT AND MEET OUR COACHES!